When I first went to the gastroenterologist I was terrified that I'd have to go gluten free. No pasta or bagels - that would be a nightmare for my diet. I was only afraid of going dairy-free. About a night or two after learning of my dairy allergy I had this terrible thought that I would never eat chocolate peanut butter ice cream again. Now, I have nightmares where I eat other decadent desserts (only to wake up and realize I cannot actually eat them). I also longingly gaze at the Kraft Macaroni & Cheese boxes when shopping at the supermarket. Obviously the change in my diet has not been all smooth sailing - major life changes never are. However, I am pleased to continue to find great dairy-free dessert options, such as Jeni's sorbets. 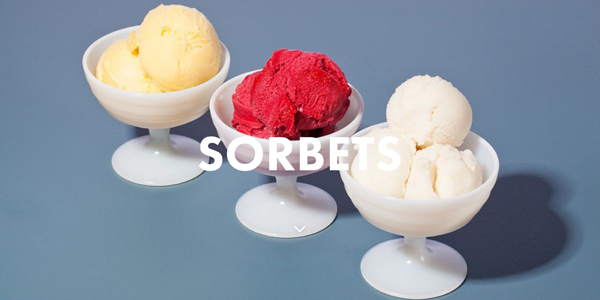 As I related in a previous dairy-free post, I am not a sorbet person. I hate how most restaurants and supermarkets only sell two flavors - mango or raspberry. 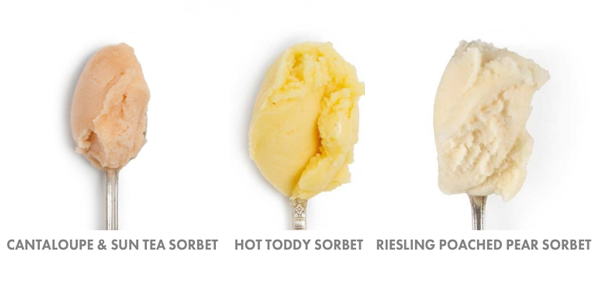 The beauty of Jeni's sorbet is that each flavor is incredibly different. I could easily subsist on the Riesling Poached Pear sorbet. 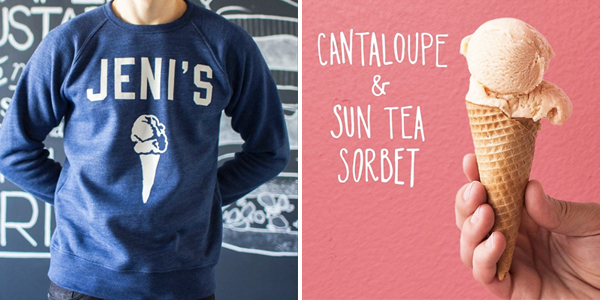 Nothing is more refreshing than a bowlful of Jeni's sorbet on a hot summer's day. 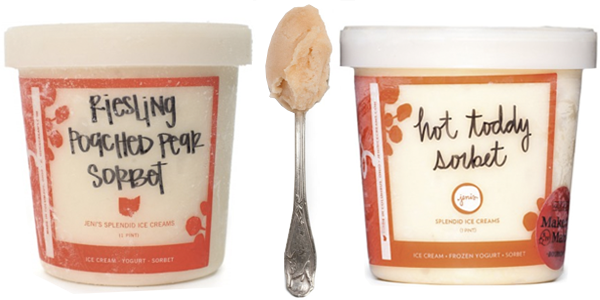 As the weather in NYC continues to get warmer I look forward to trying out new Jeni's sorbets for dessert. *Collages created by Gabriela Monsanto. 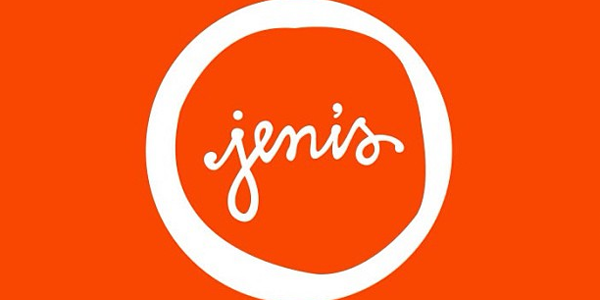 Photographs taken from Jenis.com. Ooh, it looks like they have Jeni's here in LA! Awesome. I am gluten free, so I feel your pain...it is sad not to be able to eat certain desserts anymore. Like you, I've been able to find alternatives that make me more than happy! Some of my favorite desserts are already gluten free like macarons (the French cookies), creme brulee, flan, and more.